Want To Learn to Teach Kinesiology? Become a PKP™ Instructor and teach these three short Certificate Courses. 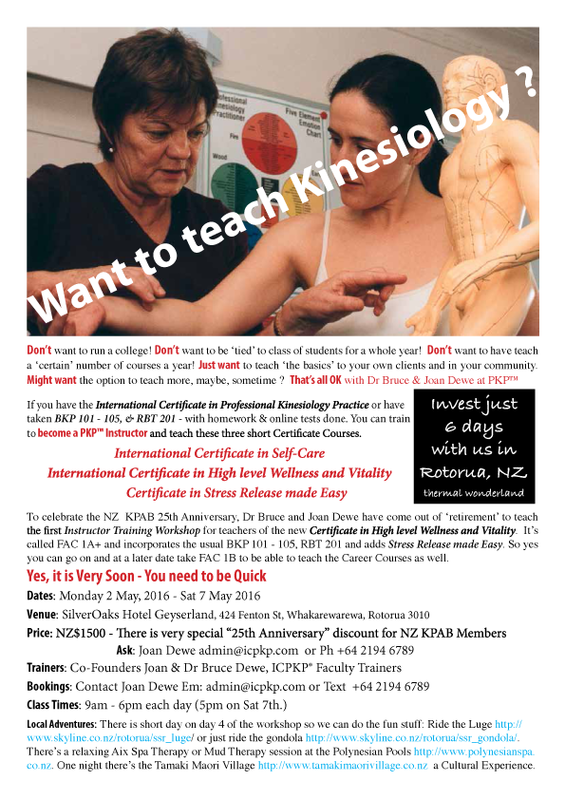 To celebrate the NZ KPAB 25th Anniversary, Dr Bruce and Joan Dewe have come out of ‘retirement’ to teach the first Instructor Training Workshop for teachers of the new Certificate in High level Wellness and Vitality. All details are in the attachment so act quickly.